Heat the oil and butter in a large frying pan over medium-high heat. Cook the mushrooms for 5 minutes or until golden and cooked, tossing regularly. Season with salt and pepper and squeeze over lemon juice to taste, tossing to combine. Ginger owes its flavour and aroma to several different essential oils: gingerol, shogaol and zingerone. These agents have powerful anti-parasitic, anti-fungal, anti-viral and anti-bacterial effects, which can ease pain, improve cardiovascular health, relieve asthma, strengthen immunity, and stimulate digestion among others. Ginger tea is an amazing remedy for treatment of sore muscles, common cold, flu and headaches. This drink can destroy the virus causing influenza, cold sores and common colds. Moreover, due to ginger’s thermogenic properties, this vegetable may improve blood circulation and the delivery of oxygen, minerals and vitamins to the cells in the body. Add the milk and strain the tea into a cup. Improve your tea flavour by adding some organic honey. Enjoy the healthiest drink there is! 1.Combine all ingredients, except berries, in a bowl. Stir until combined. 2. Gently fold through berries. 3. 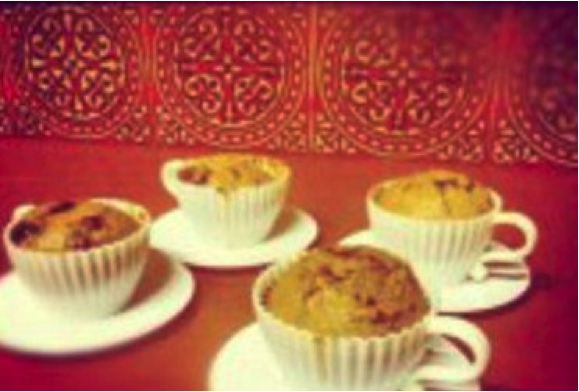 Grease 8 muffin cups. 4. Divide mixture evenly across cups. 5. Bake at 180 °C for 20 minutes. Do not use patty papers as the muffins will stick to these. Silicon muffin tray is a good idea. Extra Large sized Eggs were used. Quite a wet mix – feel free to only use 2 eggs. Frozen Berries were easier to mix in, and didn’t get squashed. Used raspberries but any other smaller berry would be fine. Recipe can be altered to add cinnamon &/or some vanilla essence. Eat within a day or two, or freeze for up to 3 months. 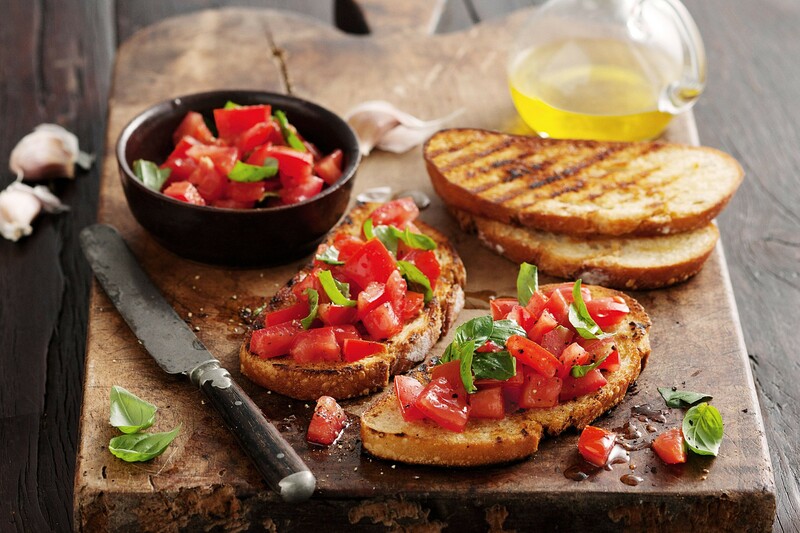 This yummy Tomato, Capsicum and Basil Bruschetta has all the colours of the rainbow! Combine chopped tomatoes, capsicum, basil, vinegar, sugar and olive oil in a bowl. Season with salt and pepper. Preheat grill on medium-high. Place bread on a baking tray. Grill for 1 to 2 minutes each side or until golden. Transfer to plates. Dip cut side of garlic in oil and rub over 1 side of each piece of toast. Spoon tomato basil mixture onto toast. Serve! 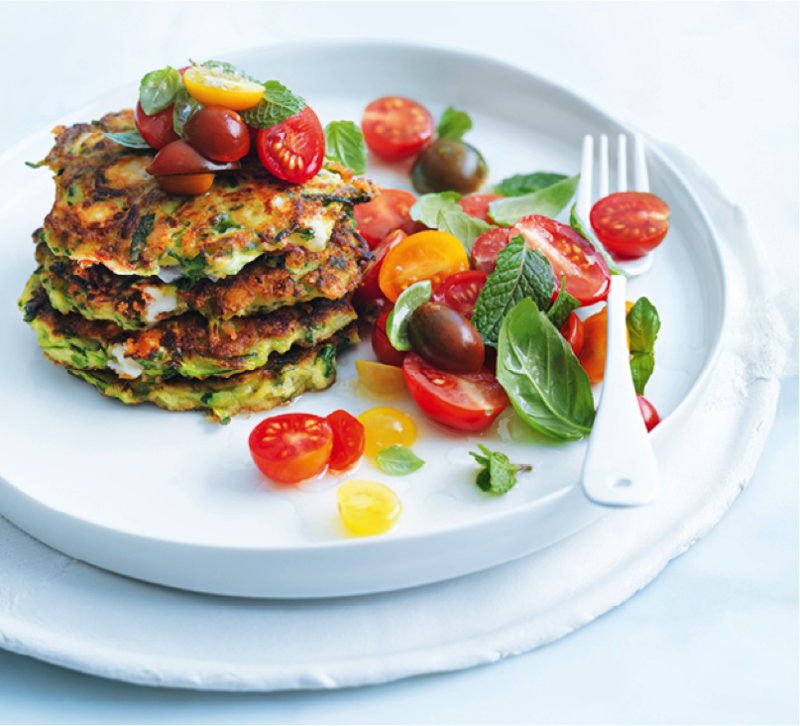 TIP: you can mix up the herbs – I love fresh basil and coriander………. Just play with it. 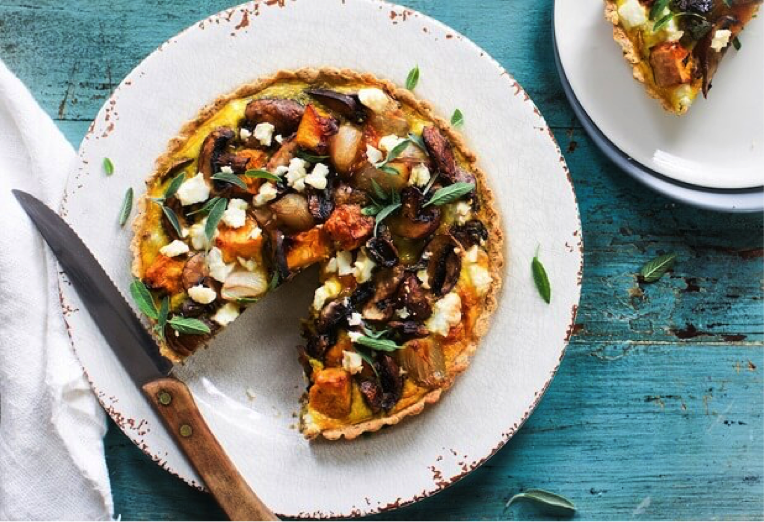 This recipe can be made up for breakfasts, lunches or dinners – serve with salads and bread rolls. *The espresso powder is there for flavour only. It can be easily omitted without affecting anything but the flavour. Place all the ingredient in a jar, shake, cover and refrigerate overnight. 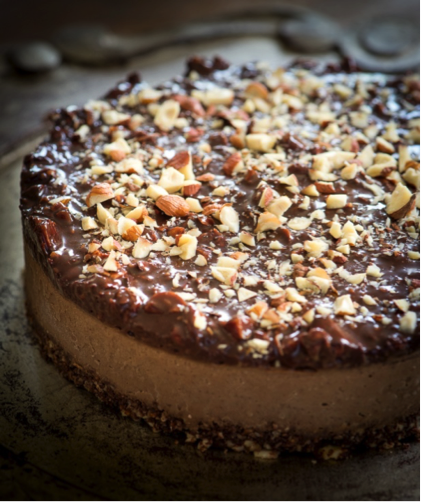 Add your favourite crunchy toppings such as nuts, home made granola, etc and enjoy the next day! Now, who would have thought of putting cucumber in a curry? Today, I want to change your mind about that. Be brave. Try it. It is an amazing surprising dish. 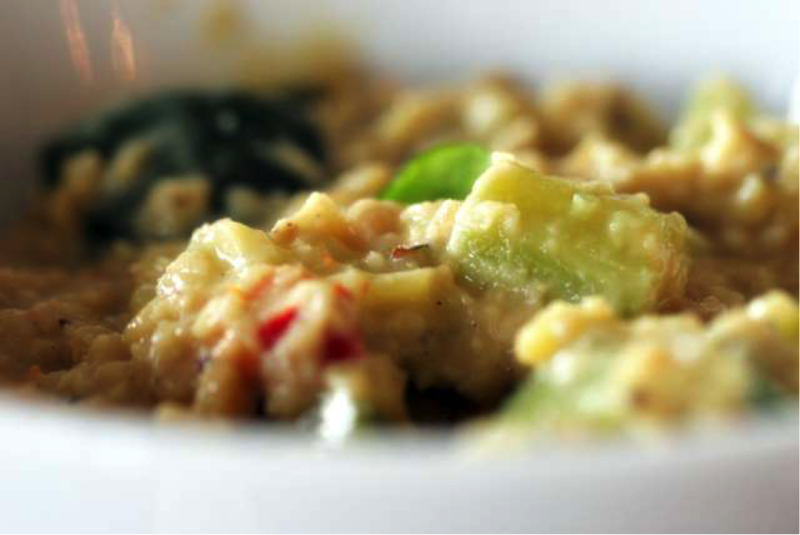 In this dish, the lentils serve as a thickener for the coconut milk that the cucumber is cooked in, forming a yummy sauce base, and as a flavour addition. They are not really noticeable in the final dish, as they disintegrate into the sauce itself. Available in Indian food shops and spice shops. Fresh is best, but dried will also work. If you can’t find curry leaves, leave them out. Bay leaves are not a substitute. Bay leaves ground a dish – giving it an earthy flavour. Curry leaves lift a dish, giving it a zing. Available in Indian food shops and spice shops. If you can’t find them, don’t substitute yellow. Better to leave them out – but do try to find them. You will be glad that you did. This dish comes from the Nair community from the Kerala region of India. Wikipedia has an entry on the Nair community, and I found this lovely piece on Kerala from jugalbandi. A Tarka is a ghee or oil based spice mix added to a curry at the end of the cooking. It adds a wondrous taste to the dish, so do not avoid this step. Also, the spices used in a tarka are those that release their flavour in oil rather than liquid, like black mustard seed and curry leaves. Finally, black mustard seeds taste best when popped, a bit like mini popcorn, and the tarka provides a mechanism for this. This is great with plain rice or rice cooked with a tspn of turmeric powder (it makes a lovely yellow rice). Add a salad, a dal, Indian pickles and chutneys, and maybe a yogurt dish. Or just serve with rice and a great salad. Finish with a bowl of fresh fruit and yogurt. As the dish is quite creamy in colour, you can go wild with visual appeal with chopped green coriander, Italian parsley or slices of green or red chilli. Wash the lentils in several changes of water, or place in a sieve and shake under a running tap until water runs clear. 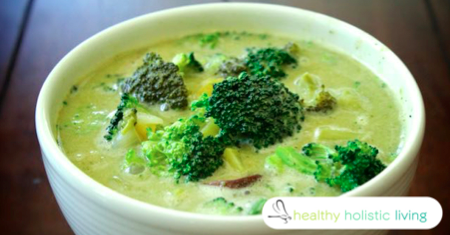 Pour 1/2 cup of the coconut milk and 1.75 cups water into a medium sized pan. Add the lentils, bring to the boil, cover and simmer for 10 – 15 minutes. The lentils should be almost cooked at this stage. Add the cucumber, chillies and salt. Cook over low heat for 5 – 10 minutes until the cucumber is tender. Meanwhile, heat the ghee in a separate pan and add the black mustard seeds and curry leaves. Pop the mustard seeds and then empty the contents of the pan into the lentils and cucumber. Add the remainder of the coconut milk, stir through and cook on a higher heat for 3 – 5 minutes until the sauce thickens. Meanwhile, begin on the crust. Mix all the crust ingredients together in a bowl. Knead the dough then transfer it to a well-greased 20cm loose bottomed tart case. Place it in the oven and cook for 15 minutes. A brilliantly simple recipe that is full of goodness and great for kids after school or anytime snack. 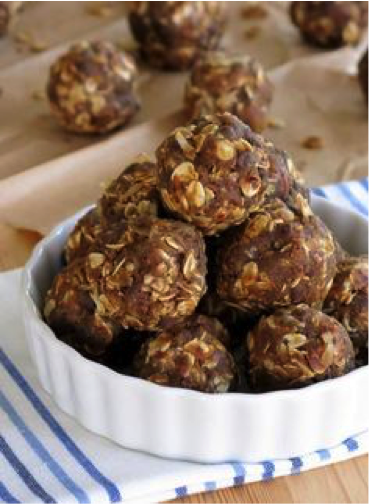 Balls can be rolled in cacao powder or coconut for extra yumminess and nutrition. Only use Young Living cinnamon bark oil as it an organic pure oil and can be used for human consumption. Essential oils are very potent, start with small amounts and increase until you have reached the desired flavour. You can use a toothpick to start with. Cook the noodles according to packet instructions + set aside. Heat the miso paste over a low heat with 4 cups water + turn off just before it reaches boiling point. Add all the vegetables to the broth. 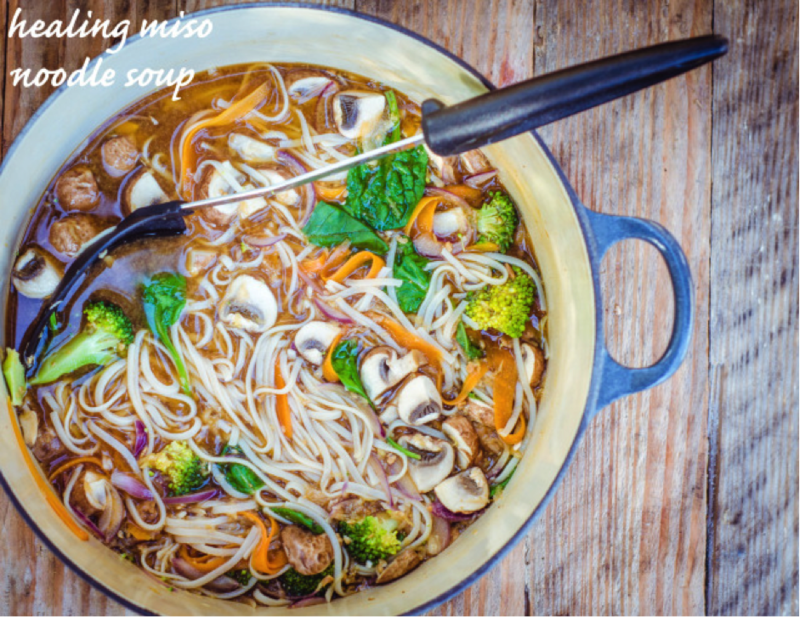 Refresh the noodles with cold water, add to the miso broth + vegetables. Stir well to combine. Serve immediately topped with spring onion + a little chili. Actually top it with whatever you like. Smugly slurp on your own wonderful pot noodle. 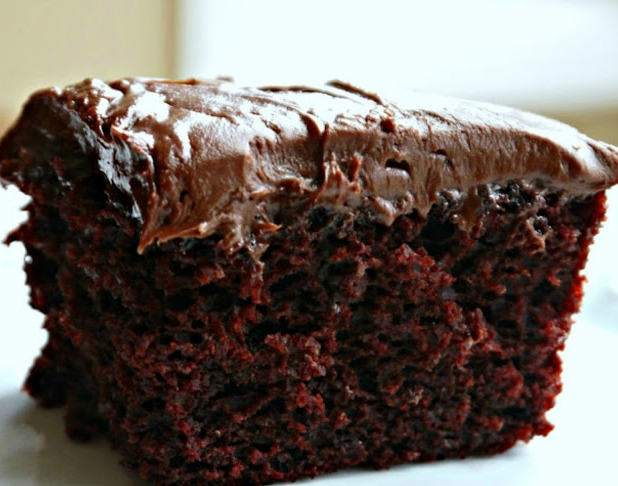 Mix first 5 dry ingredients in a greased 8″ square baking pan. Make 3 depressions in dry ingredients – two small, one larger. Pour vinegar in one depression, vanilla in the other and the vegetable oil in third larger depression. Pour water over all. Mix well until smooth. Bake on middle rack of oven for 35 minutes. Check with toothpick to make sure it comes out clean. Cool. Top with your favourite frosting. Enjoy! In a blender or food processor, place apple cider vinegar and mint. Blend for a few minutes until mint is finely chopped. Pour the mint vinegar mixture into a small sauce pan. Add in the honey and ginger and cook over low heat. Stir continuously and bring honey to a boil. Cook until it has reached a temperature of 300 degrees. Pour into lollipop moulds if you have them. Don’t forget the sticks! If you do not have moulds, lay lollipop sticks on a greased non-stick surface such as a silicone mat or parchment paper. Carefully pour honey over each stick thus creating a free form lollipop. 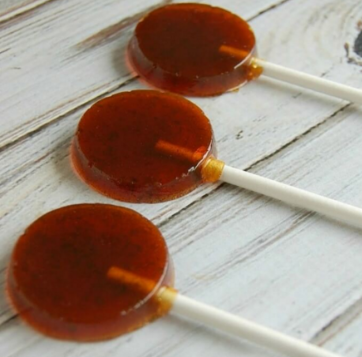 Let lollipops cool at room temperature until hard. I find it best to store these lollipops in the freezer in a mason jar. Odd, I know but it removes the issue of the lollipops becoming sticky. Alternatively, you could also wrap them in wax paper and store at room temperature. 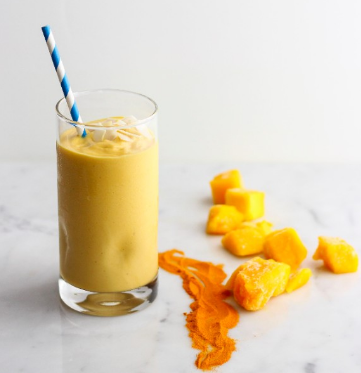 Tart turmeric and sweet mango do a sweet and sour dance in your mouth. 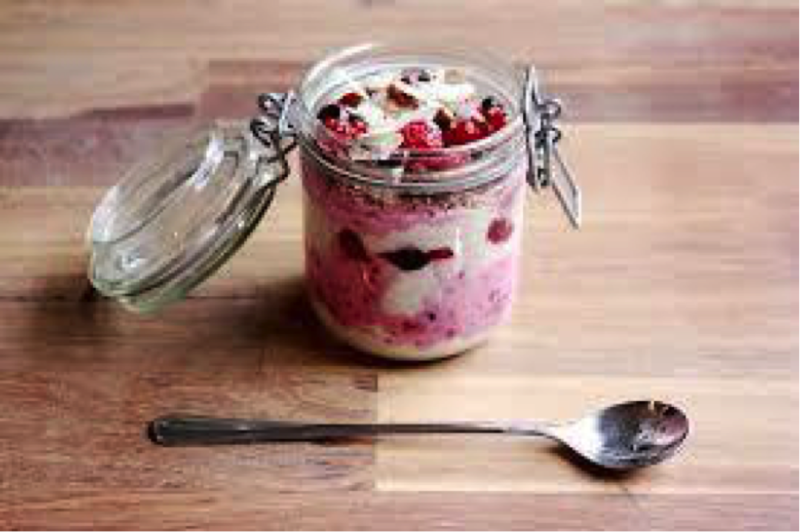 Raspberries pack in lots of filling fibre while adding body to this smoothie, making it seem more like an ice cream treat than a breakfast food. Place all ingredients in a blender along with 1/2 cup water and process until smooth. Serve immediately. 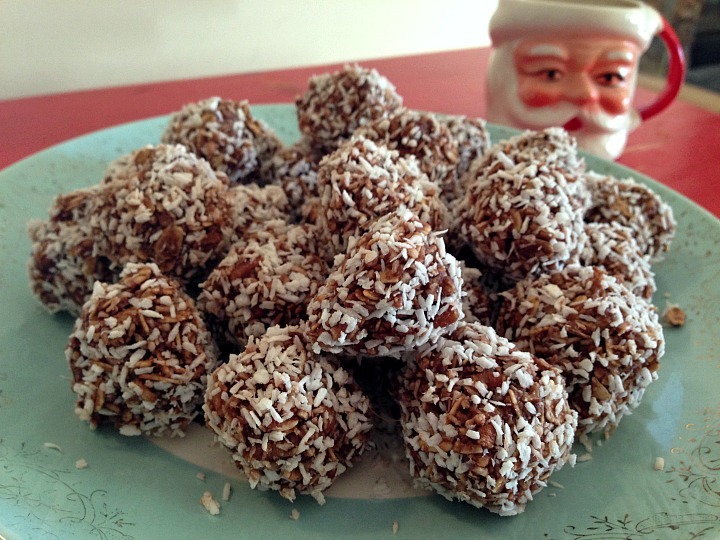 I love this recipe and make it every Christmas – packed with protein and minerals and so yummy!